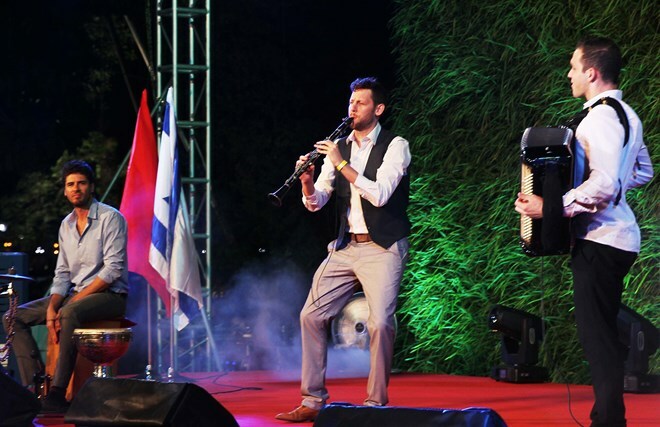 Hanoi (VNA) – An exhibition on ‘Israel in the heart of Hanoi’ opened in the capital city on October 27 as part of activities to mark the 25th anniversary of diplomatic ties between Vietnam and Israel (1993-2018). Addressing the event, Israeli Ambassador Nadav Eshcar highlighted the growing relationship between the two countries since they set up their diplomatic ties 25 years ago. The display of Israel’s unique and pioneering technologies at the exhibition reflects the similarities between the two sides in the field of innovation and is evidence of a vision for bilateral cooperation in high-tech education, agriculture and science, the diplomat said. Chairman of the Hanoi People’s Committee Nguyen Duc Chung stated that the event will provide the public in Hanoi in particular, and in Vietnam as a whole, a panorama of Israel, especially its vertical rice farming techniques, remote control drip irrigation, and atmospheric water generation technologies. These advanced technologies could be a source of research and application for Vietnam and Hanoi in order to take alternative measures to transform the appearance of urban districts and enhance the possibility of high-tech farming in Vietnam’s urban areas, Chung added. On the occasion, the Hanoi leader thanked Israel’s Watergen company for presenting the city with two atmospheric water generators, which have a capacity of producing 700 litres of water per day.